We've come down to it. We've marched forward through 11 sequences of a script, alongside some fun Sidenotes about TV writing, voice, and motivation, and now we've come to it. The final sequence. The resolution. The climax. The victory. The statement of theme. All five of those points are critical to discuss, breakdown, and hopefully explain well enough so that you understand their individual and separate meanings. 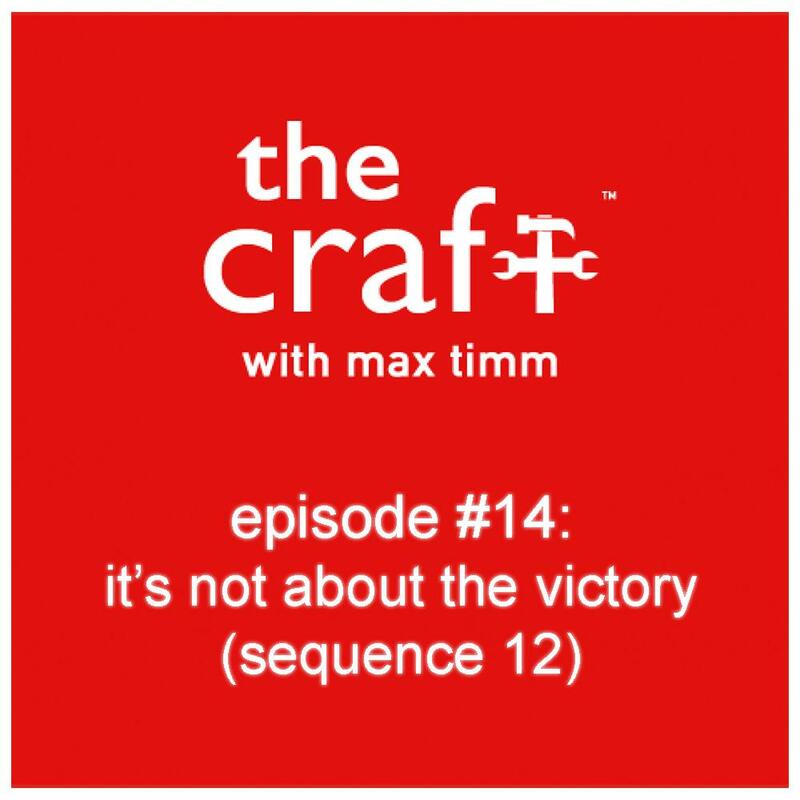 Everything we've talked about prior to this episode has built momentum, pacing, stakes, and theme, in order to deliver it all at the end of your story. So let's just do a quick recap so that we stay on point, and we're reminded of why we're going through these episodes in the first place. Main character stage of life, the set-up event, and the secondary character's introduction make up your first act. So much happens in those three sequences, and so much rides on how well you can prepare your audience for the adventure ahead. The relationship between the secondary helper and the hero, meeting the new world, obstacles, and additional stress on the hero's emotional flaw, make up sequences 4 and 5. Those two sequences are presenting ongoing obstacles that both help and hinder your hero as he or she progresses toward your sixth sequence, the mid-point. The mid-point delivers some form of a complication, twist, consummation between the hero and the secondary character, so that the emotional flaw is revealed, tested, and therefore the adventure is set off in a new or different direction. It may even present a brand new goal - either physically, or emotionally - for your main character. Sequences 7 and 8 are now consisting of a slight downward spiral, either quick and obvious, or subtle with a potentially fake or false "victory". The honeymoon period, so called, that is really just setting up both the Hero and the audience for epic failure. The rival or the villain is winning during sequences 7 and 8, and of course, by the time we hit sequence 9 and the hero's low point, it seems as though all is lost. The hero has been dealt the worst possible hand, and he folds. There is usually some form of an estrangement between the hero and the secondary character and, again, all seems lost. In sequences 10 and 11, your hero reverts back to his emotional flaw (for instance, if a symptom of his flaw was that he was an alcoholic before, he now starts drinking again), but something happens that gives him a new hope. The secondary character may come back and pick him up by the boot straps, forcing him to rally and head toward his ultimate goal - both physically and emotionally - in order to claim his prize or at least attempt to. That now leads us to...sequence 12, and what I said earlier, the resolution, the climax, the correction of the emotional flaw and the statement of theme.